I remember in my 20s and 30s all I had to do if I saw a bit of a tummy coming, was skip a couple of meals for a day and BOOM right back to flat….not so much in my 40s ….and a big fail with that idea in my 50s…l said I was getting in shape for my 50th birthday…I sort of did…well not actually…..I think I may have lied!!! Prior to my 50th, I started taking classes at my local community centre, dabbled in dieting, but really didn’t get to where I wanted to be – do I want to have my 20-body back – YES…but I’m not greedy so I will be happy with just not having to constantly monitor what food I shove in my face. 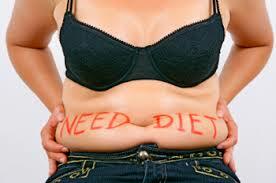 I hate diets, I hate everything about diets! !